Prime purpose of this article is to discuss on benefits of Trading Commodities with Binary Options. Now a days trading has evolved into a speculative trading style whether the traders are dealing with stocks, commodities or other markets. There are lots of traders at present who trade commodities through binary options platforms. It is one of the simplest ways of making money with commodity trading. Traders who are interested in this kind of trading have to find a good binary options broker. 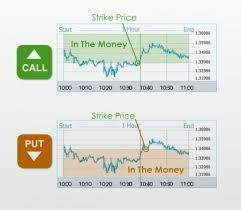 Binary options allow traders to earn profit through guessing the values of commodities, stocks etc. Trading commodities with binary options can be very lucrative but it can be very risky for beginners.